The BJP on Sunday held the Mamata Banerjee government primarily responsible for the ongoing stalemate in Jadavpur University. KOLKATA: The BJP on Sunday held the Mamata Banerjee government primarily responsible for the ongoing stalemate in Jadavpur University over the decision to scrap admission test for six under-graduate courses and urged it to start dialogue with the varsity authorities and students' union to find a solution. Meanwhile, the students continued to hold protests at the varsity. "It is the state government's responsibility to find a solution to the ongoing problem in Jadavpur because they are primarily responsible for the complications. The statements given by the government and the Education Minister have created confusion," BJP state President Dilip Ghosh told reporters at party headquarters here. "Their first duty should be to start a discussion with the university and Vice-Chancellor on this issue. They can consult eminent academicians in the state and talk to the students' unions about their demand," he said. 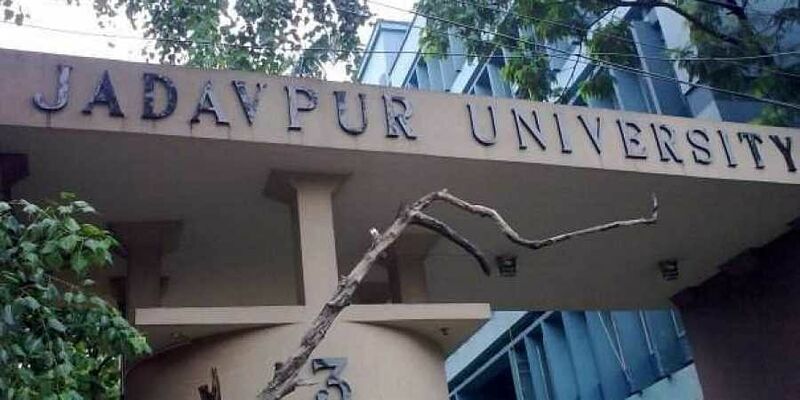 The university authorities on Saturday sought a directive from Governor Keshri Nath Tripathi - the ex-officio Chancellor, on the emerging situation while the Jadavpur University Teachers' Association (JUTA) sought an appointment with Tripathi and endorsed the stand of a section of teachers to stay away from the entire admission process. Education Minister Partha Chatterjee also held a meeting with the Governor on Sunday afternoon over the current situation in the varsity. Meanwhile, the hunger strike by nearly 20 students outside the university's administrative headquarters Aurobindo Bhawan demanding the admission test for the six humanities courses, continued on Sunday. The students had on Saturday threatened to escalate their agitation if the Executive Council meeting was not convened and they did not receive a positive response from the Vice Chancellor by Sunday noon. The agitating students said they have received a letter from Vice Chancellor Suranjan Das requesting them to withdraw the hunger strike but informed him that would continue agitation until their demands the fulfilled. "He sent us a letter on Saturday evening requesting us to withdraw the hunger strike. We thank him for his letter. But we have informed that the agitation will continue until there is positive response," said one of the agitating students. The university, rated one of the best in the country academically, plunged into turmoil after the authorities - apparently under pressure from the West Bengal government - decided to do away with the system of holding entrance tests for admission to six under-graduate courses. In a reversal of a decision taken a week earlier, the university's Executive Council in a July 4 resolution said for the coming academic year "under-graduate admission in arts should be conducted on the basis of marks obtained in the last board examination alone, without conducting any written admission test".